Authentic Pizza Margherita on the Grill – Hand Made from Napoli….like the Verticoli? Not too long ago I provided my recipe for La Pizza Margherita with a traditional marinara sauce and typical fresh ingredients baked in the oven. This time, I took it a step further and decided to create the authentic and traditional Napoletana Pizza Margherita, with true ingredients from the city and over a wood fire (or at least as authentic as I can get since I don’t own a brick oven). Today I’m sharing my Authentic Pizza Napoletana Margherita recipe that is so good, it will leave you mind bottling and help you (and me) appreciate the pride and love affair that Napoli has for their beloved margherita pizza. Coming from a Roman family, and more particular a Roman mother, crunchy thin crust pizza and pizza al taglio are my first loves but the chewy and light crust created in Naples is a thing of beauty. In order to create the pizza margherita dough and it’s world famous crust, you need the right flour. Molino Caputo tipo 00 flour is the only flour to use for authentic Napoletana pizza margherita as it is much lighter and finer than more common flours. The other main ingredient which is even harder to find, is water from Naples as Italians will tell you, the water makes all the difference. You may think it’s as difficult as finding a “Verticoli“, but Naples is also recognized for their excellent espresso in addition to their pizza, thanks in large part to their local water. If you have a hard time importing water from Naples, try purchasing other bottled water from other areas of Italy (not mineral water), such as Tuscany as it may be easier to find. Start by warming the Italian water in a pot, then in a large bowl add the water with salt (stirring until it dissolves) and repeat with the yeast. Then slowly add the Italian flour, pouring a little at a time into the bowl while stirring with the other hand. Then once the flour has been added, add a tablespoon of olive oil and continue to stir until the dough starts to take on an elastic substance. Then place on a cutting board or table lightly covered with flour and add a little more flour on both sides of the dough and cover with plastic wrap or a damp towel and place under a bowl for at least 3 hours. While the dough rises and settles, start your authentic Pizza Napoletana Margherita sauce with finely chopped garlic in a pan of olive oil and once it simmers, add San Marzano peeled tomatoes (before adding to pan, place in a bowl and chop the whole pieces into tiny chunks), salt, pepper, and I also like to add 2 finely chopped basil leaves. Allow the sauce to cook at low heat for 2-3 hours and around that time the sauce finishes, you’re ready to kneed and roll out the dough. The dough itself will be enough to make about 2 pizzas so cut the dough in half and prod, push, and kneed the dough to thin out while dousing with flour when necessary (you can freeze the rest of the dough if you’re only in the mood for one pizza). Then use a roller to shape out the dough and make sure not to make it too large or too thin as the traditional Napoletana pizza margherita is 13-14 inches in diameter and certainly not nearly as thin as Pizza Romana. In addition, to make that dream like Napoletana crust, slightly roll the outside edges. Now that everything is ready to be put together, I start my charcoal grill with 2 chimney starters full of hardwood lump charcoal and oak chips. We’ll want the temperature to be around 450-500 degrees so it’s important to have a pizza stone that can take the heat (full disclosure… I tried making this recipe the week before and got distracted with my children in the house, so when I came out to check on my hard-worked masterpiece, it was burnt to a crisp and I was destroyed inside, for days. 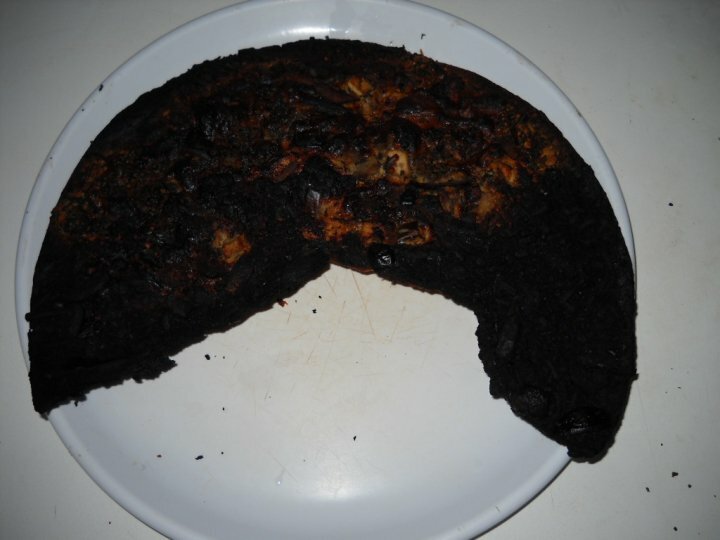 Don’t be that guy (me) when trying this at home – please check on your pizza, for the safety of your dough). Once the fire is ready, put the dough on the pizza stone (already slightly dressed with olive oil) add plenty of sauce with an inch 1/2 before the dough edges, then top with thick slices of fresh mozzarella (and be sure not to cover all of the sauce, five to six slices of fresh mozzarella should be enough). I keep 1 grate on each side of the grill, leaving the middle open where the stone can rest on the outside grate edges. I then prefer to cover the grill, opening every 5 minutes or so to check on the pizza (if the pizza is cooking too fast or too slow, adjust the wood charcoal fire tray by moving up or down to control the heat). After about 20-25 minutes, your authentic Napoletana pizza margherita should be ready. All that’s left is to add the basil leaves whole on top. I have to say, for a Roman pizza fan like myself – I really enjoyed this! I usually enjoy pizza with a glass of red wine but instead went with a classic Italian beer, Peroni Nastro Azzurro. You can’t go wrong with that my friend! So there you have it, Paggi Pazzo’s authentic Napoletana Pizza Margherita recipe, Buon Appetito e Buona Sera Napoli!!! Click here for full Grilled Authentic Pizza Napoletana Margherita Recipe and all other Paggi Pazzo recipes. For the first time I tried one of your recipes and I actually fell in love. The crust was nice and crunchy, the sauce, the cheese and the basil complemented each other and the taste was wonderful. I could almost feel the sun on my face as I sat al fresco at a restaurant in Posillipo while watching the sea in Naples. Bravo!